Scripture has a lot to say about love. We find passages in all parts of scripture about love. There are entire chapters and book devoted to love. One could even argue that the bible as a whole is God's story about His love for His creation. This one is difficult for obvious reasons. Usually, they are your enemies for a reason. But Jesus says to love them and pray for them. Which is exactly what He did on the cross. He asked that God would forgive the people who were crucifying Him. When we love our enemy, we are really just being like Jesus. Jesus called this the second most important commandment. It may sound easy at first. But think about it like this: What ever I would do for me, I must do for my neighbor. I don't eat until my neighbor can eat too. I don't sleep until my neighbor has a place to sleep too. The list can go on forever, but think about it in terms of family. We would all do whatever it took to take care of our family's needs. Jesus took the umbrella that you place over your family and instructed you to expand it to all those that come into your sphere of influence. 3.) Ephesians 5:25 – Husbands love your wives as Christ loved the church, and gave himself up for her. This is a beautiful verse that sounds great at weddings, but most of my life I heard a lot more about the verses that come just before it in Ephesians five. Wives submit to your husbands. But, the greatest influence in the relationship belongs to the husband. It is the husband that has the ability to present the wife as something that they are not: blameless and spotless (Ladies you are great, but nobody is blameless). Husbands, you have the ability to build your wife up and change her identity. Jesus did the same for you. But be warned, He had to sacrifice His life in the process. You will have to sacrifice too. 4.) 1 John 3:16 – We know love by this, that He laid down His life for us; and we ought to lay down our lives for the brethren. This is not really a new command or challenge about love. Here we simply have John explanation of number 2 on our list. 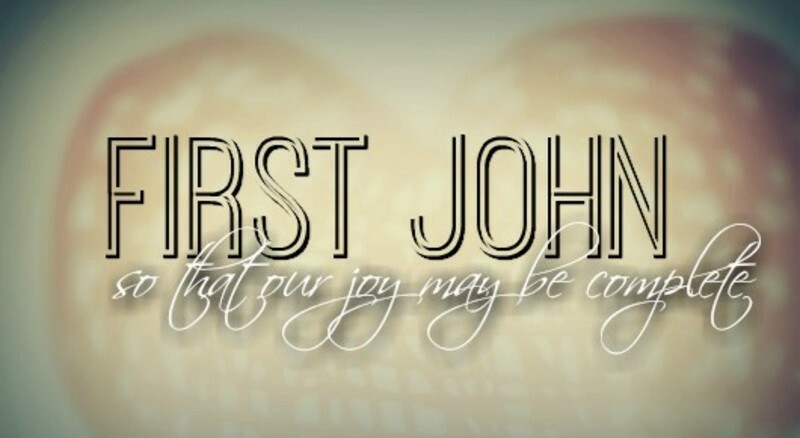 John can be summed up here by saying that we are to love our neighbor as our self, and only one person has ever truly done that: his name was Jesus. I've put on my business card that Desha FBC is “A Church for You to Call Home”. But, after looking at these verses, it should really read “A Church for You to Call Family”. That is exactly how the Bible expects us to treat each other, and that is exactly what we should strive toward. I've been thinking a lot lately about the state of my life and how it got there. Truthfully, I've really been thanking God for how good life has been for me the past few years. Extra truthfully, I've really been repenting of my disgruntled attitude during the years that I did not agree with Him on the way my life was going. It was in the back and forth of this process that I think I had a breakthrough; only time will tell. We often forget that God's love is different than every other type of love that we know. I think it would be fair to say that it is so different from our love that we just don't really understand it at all. We try to understand it, but we can't. We experience it, but we can't always comprehend everything that we experience. To be extra extra truthfully, my first response to that was NO. But, the more that I thought about things, the more thankful I became for the years of loneliness. God opened my eyes to all the ways that he drew my heart closer to his. He showed me all the ways that he used those years to refine and prepare me to be a husband and a father. He showed me how the years that I considered wasted, were really the years where the hardest work was done. At that moment, it felt like load after load of God's love was dumped into my life.